Hypercalcemia is defined as serum [Ca2+] > 11 mg/dL or 1 mg/dL above the normal range. 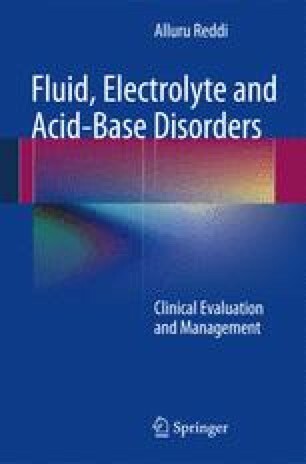 It is a common electrolyte disorder that is frequently encountered by the primary care physicians. Hypercalcemia affects multiple organs in the body, including the kidney, heart, brain, peripheral nerves, and the gut. Although causes of hypercalcemia are varied, they fall into four major categories: (1) hypercalcemia secondary to increased Ca2+ mobilization from the bone; (2) hypercalcemia due to increased absorption of Ca2+ from the gastrointestinal tract (GI); (3) hypercalcemia due to decreased urinary excretion of Ca2+, and (4) hypercalcemia due to medications.